The official name for this park is actually the Akebono Kodomo no Mori Park, but everyone I know refers to it as the Moomin Park since that's what the buildings there are based upon. If you've never heard of the Moomins before, they're a creation by a Finnish illustrator, and are a family of animals that look something like hippopotamuses. 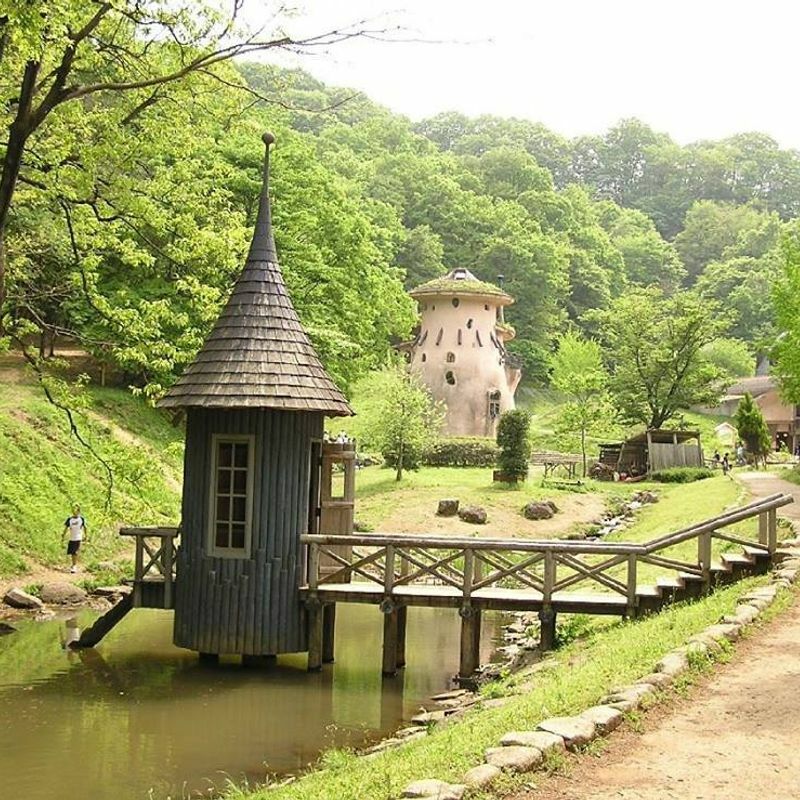 Their world is a magical, fairytale-esque land - and this park in Saitama dedicates itself to creating that atmosphere. There are quirky shaped buildings, a gift store, and more. It's a really pleasant spot to pack up a picnic lunch and enjoy it when the weather is nice, and there's plenty of green space for the kids to run around and stretch their legs. Since some other parks in the area (such as Showa Park in Tachikawa) are paid admission parks, it's nice to find a freebie (albeit smaller!) with so much character.